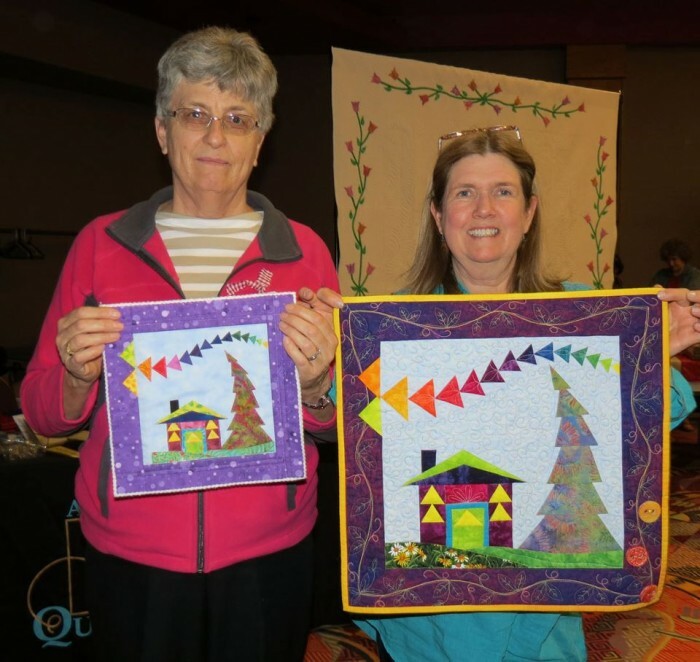 I just got back from a week of teaching for the Arizona Quilter’s Guild. What fun we had! 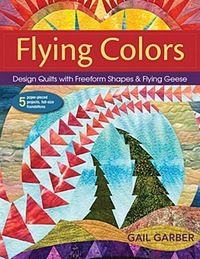 At the Arizona Quilter’s Guild Spring Meeting, Helene Block came up to tell me that she had made my Little House of Geese Pattern that was published in American Quilter Magazine last summer. Only, when she went to enlarge the pattern, her copier refused to cooperate. So, Helene made it at half-size! So much fun! Thanks, Helene, for sharing! Enjoying a meal with the Arizona Quilters Guild. 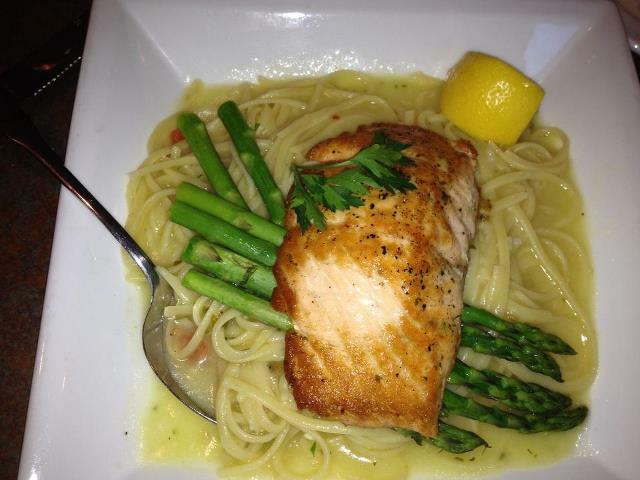 Exquisite food! — at Gerardo’s Italian Bistro. Little Goose, Little Goose! 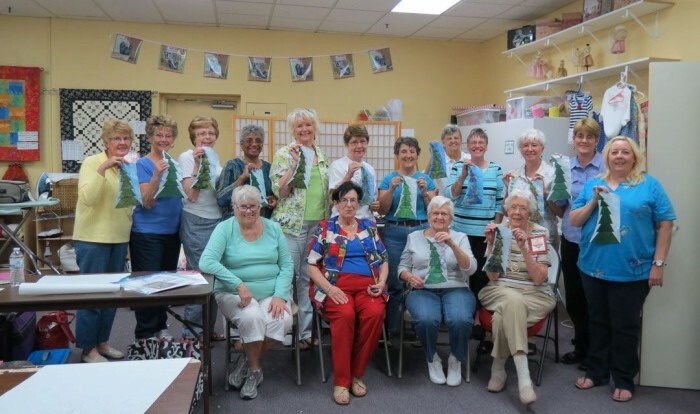 We had fun in class , sponsored by the Arizona Quilter’s Guild and held at the Bernina Connection. Great students, great shop! Thanks everyone for having such great attitudes!